Our Mission is to become your First Choice for all of your insurance needs. We strive to establish a personal relationship with you and helping you understand the risks you face every day. We focus on Auto Insurance, Home Insurance, Renters Insurance, and Life Insurance in LaGrange, Hogansville, West Point and Pine Mountain, Georgia areas. Our goal is to be your Good Neighbor and offer Great Customer Service. Our team is here to help you in finding the right Insurance for you. 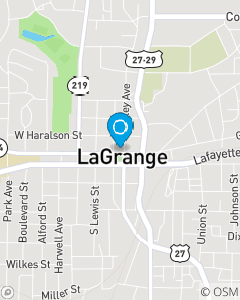 Please give us a call or stop by our office at 14 N Lafayette Square in Downtown LaGrange.